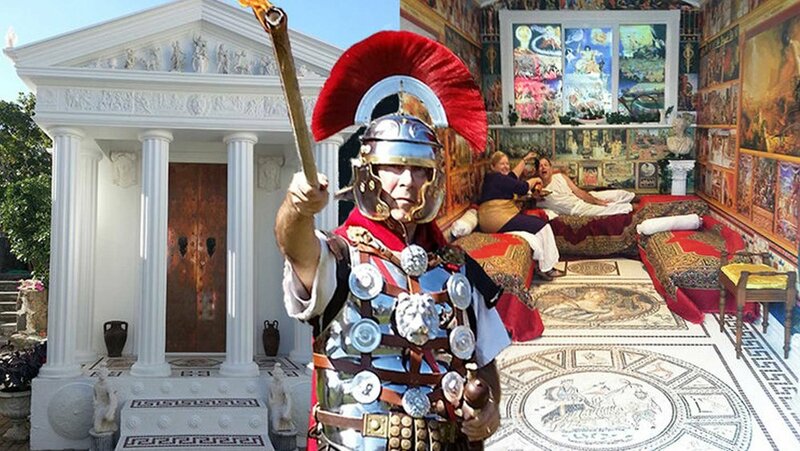 Meet Caesar and Cleopatra at the Roman Temple to try a variety of Roman activities while learning all about ancient Rome. Splash in a Pompeii Fountain. Write on a wax tablet. Taste garum. Drink Roman wine. Burn frankincense. Grind grain. Mint your own real Roman coin to keep. Swing a gladius. Wear a Centurion helmet. Blow a cornu. Fire a Ballista. Fight as a gladiator. Or relax on a triclinium like a real ancient Roman. Please note: Parking and Venue access also available from 21 Parkfield Terrace, Grafton.